Preheat oven to 240°C (475°F). Sprinkle the spatchcocks with salt and pepper and drizzle with the oil. 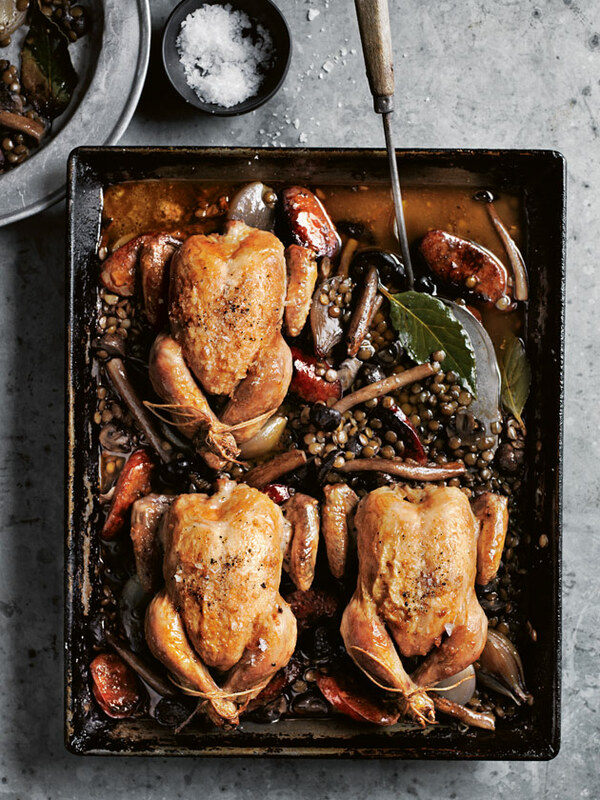 Place the lentils, chorizo, eschalots, bay leaves, porcini, mixed mushrooms, port and stock in a large deep-sided roasting pan and mix to combine. + We used a combination of Swiss brown and chestnut mushrooms, but you can use any type you like.